- In the bowl of a standing mixer fitted with a dough hook, add the warm butter and milk mixture and sprinkle the yeast over the top. Let it sit for 5 minutes. - To the yeast mixture, add the flour, sugar, egg yolks and salt and mix with the speed on low just until the flour is incorporated. - Increase the speed to medium high and kneed the dough for about 5 to 7 minutes or until it is nice and smooth and pulls away from the sides of the bowl. - Lightly grease a bowl with some oil and set aside. - Form dough into a ball and place it seam side down in the oiled bowl and grease the top and sides of the dough with a little oil. Cover the bowl with plastic wrap and place it somewhere warm for about an hour or until it has doubled in size. - Transfer dough onto your work surface, (flour it a little if necessary) and deflate it. 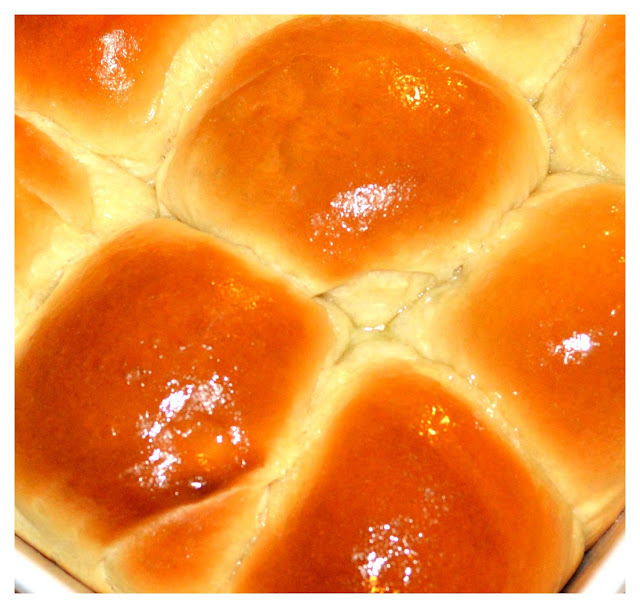 - Cut the dough into 12 equal pieces. - Lightly grease a 9" X 13” baking dish and set aside. - Cover the dough pieces with a kitchen towel as you work with one piece at a time. 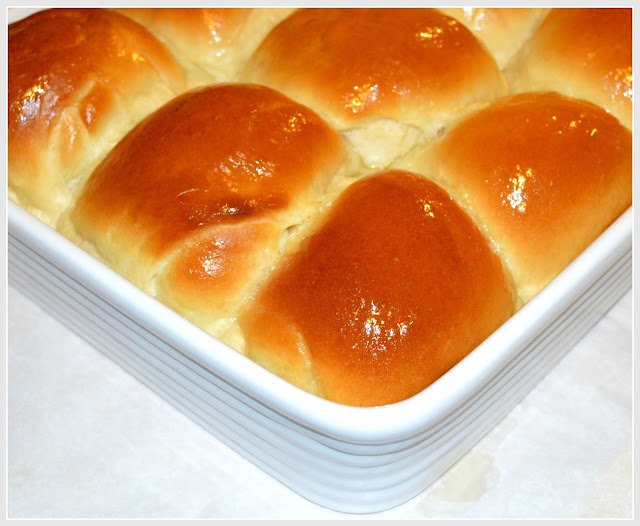 - Take each piece of dough and roll it in a smooth ball, place the ball seam side down in the greased baking dish, cover the baking dish with a kitchen towel so that the formed buns won’t dry out. 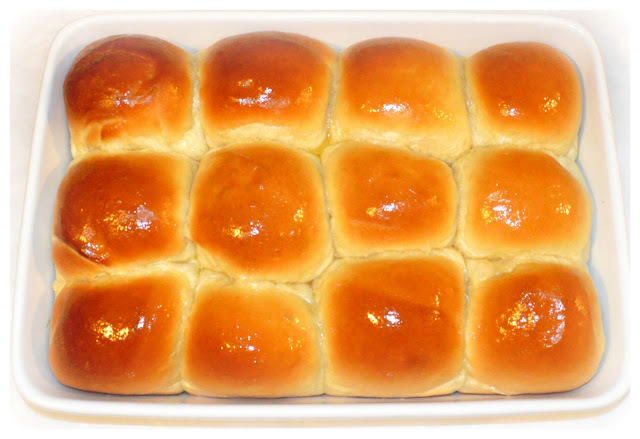 - Once you have all the rolls in the baking dish, cover them with plastic wrap and allow them to sit in a nice warm place for about an hour or until they are about one and half times bigger than the original size. - Meanwhile, preheat the oven to 375 degrees and place one of the oven racks into the center of the oven. - Once the rolls have risen, bake them for about 20 to 25 minutes or until golden brown. 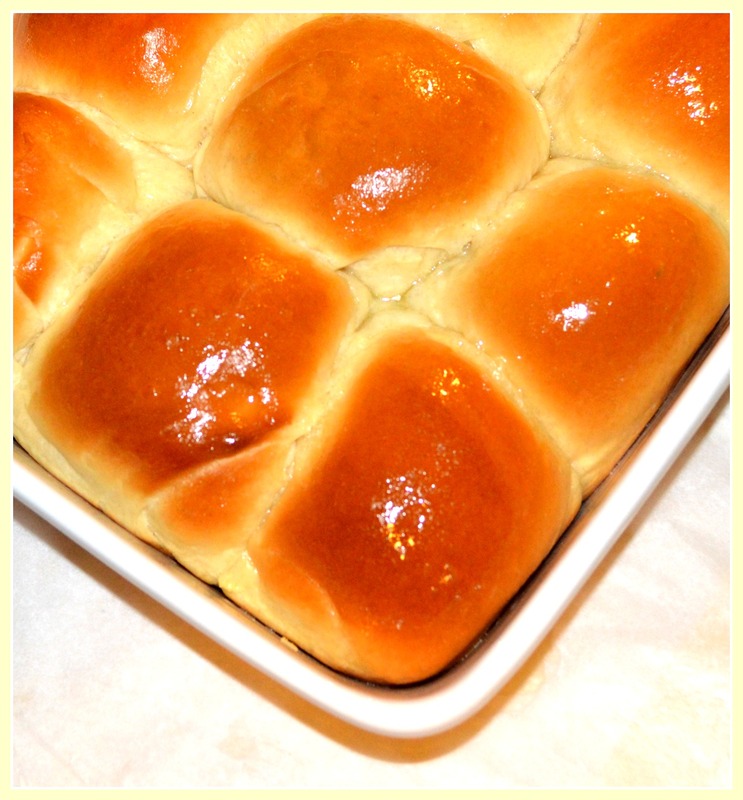 Brush them with melted butter immediately when they come out of the oven. *Please note: You might need more or less flour. For example, you will need less flour if humidity is low and need more flour if the humidity is high.